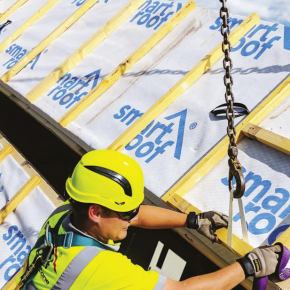 They believe now is the ideal time for architects and developers to stand out and look beyond the standard application for concrete. 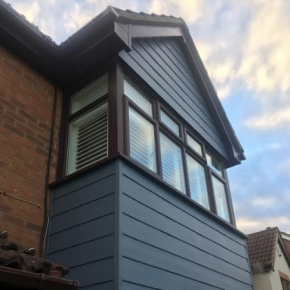 Showcasing the most up to date choice of options can allow professionals get to grips with challenging design schemes and dramatically make the environment credentials of a build better. Business development manager for Aggregate Industries, David Porter, said: “Historically, concrete, as the most widely used manmade material in the world, has been viewed as an everyday, standard construction commodity; meaning developers have tended to choose the same tried and tested products that they’re used to. 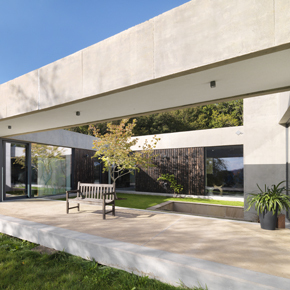 A fine example of the ways in which concrete can further design boundaries is the ‘Outhouse’, a purpose-designed concrete home for two artists, which was nominated for the RIBA Stirling Prize, the most prestigious award in British architecture. Aggregate invested a sizeable amount of time and knowledge into the extremely complex structure, which had sustainability at its core. It developed a bespoke suite of concrete mixes, that saw 33% of the cement make way for Fly Ash (PFA). This saw a careful procedure of mix optimisation in order to bring down CO2 levels on most mixes, with no compromise on the product’s durability, strength or workability. 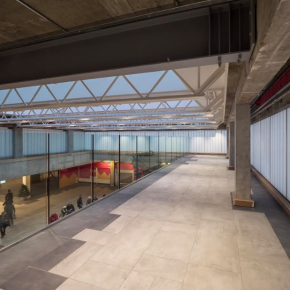 The company chose a self-compacting pigmented concrete, which was custom-designed, meaning the decorative dark grey pigment provided a taking contrast to the standard concrete used in the internal and external walls. 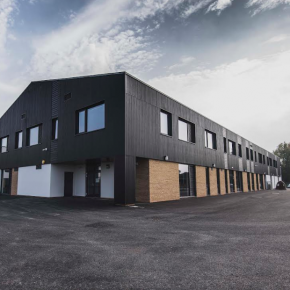 Aggregate Industries also offered technical support throughout the 19-month project, guaranteeing the concrete’s consistency and finish was optimised to boost the visuals. The first private house on the RIBA Stirling Prize for 15 years, it achieved the client’s wishes of a wonderfully original, energy efficient and sustainable dwelling. Award winning also, it has swooped the prestigious Manser Medal, RIBA Award and RIBA South West Building of the Year 2016. David Porter concluded: “With our technical investment and solution-focused approach intrinsic to the success of the project, the ‘Outhouse’ demonstrates perfectly how the clever choice of concrete can be used to meet aesthetic and sustainable requirements, no matter how challenging.